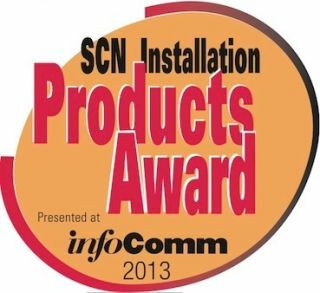 SCN has extended the deadline to submit entries for the 2013 SCN/InfoComm Installation Product Awards. The deadline for entry is now March 15, 2013. The 2013 SCN/InfoComm Installation Product Awards will showcase the most innovative commercial AV products of 2012. To be eligible for an award, the company must be an exhibitor at InfoComm 2013, and the product must have shipped in 2012. Each product entry is $100 and must be sent in with the entry. Manufacturers can enter their product or products for consideration before Friday, March 15, by clicking here. Winners will be announced during InfoComm 2013 in Orlando, FL.